I was pleased to try out a new remedy that worked well – and it was in my kitchen. A very itchy, smelly, oozy area on the skin. There may be more than one spot. They often form on the face and at the base of the ears. They are often very painful. The technical name for a hot spot is acute moist dermatitis. They are a local area of bacterial infected hair follicles. They form most often during the warm summer months. Any scratch or wound can cause the skin to become infected and develop into a hot spot. Most hot spots are secondary to some type of skin allergy. REMOVE THE HAIR. This is the most important thing to do in order to allow hot spots to heal. Use a pair of blunt nosed scissors to trim as much hair as possible on and around the spot. If you have clippers use them for trimming. These can be very painful and some dogs will not let you trim much hair. CLEAN THE AREA. Use a mild, non-perfumed antiseptic soap (Hibitane) to clean the skin. Gently dab it on the spot, lather up and rinse well. A CUP OF TEA. The key to curing hot spots is to get them to dry out. A very effective antiseptic drying solution is tea and aspirin. Brew up a strong cup of black tea and dissolve an aspirin tablet in it. Soak a cloth in this brew and apply it to the area for 5 minutes four times daily. APPLE CIDER VINEGAR. It can be applied directly to the Hot Spot – 4 times daily. Soak it in a cloth and wipe the clipped area. It has anti-bacterial and anti-inflammatory properties. As an aside, it is also high in potassium, making it beneficial for older, sometimes potassium deficient pets. As well, it can be consumed orally (after all it is fermented apples) – and it can give your pets an overall immune boost. P.S. The MOST common cause of recurring Hot Spots is ONE thing: Underlying Allergies. In high enough doses to be beneficial. Take the 30 day challenge. 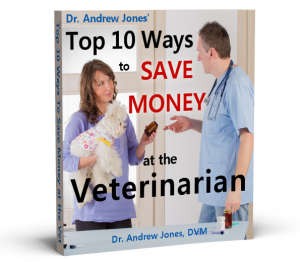 If you don’t see a positive change in your pet’s health, then keep ALL of the bonuses and get your money back. I am *very* confident in it’s results. Is habitane preferable to Chlorhexidrine? Is it necessary to prevent pets from licking habitane. I know they should be prevented from licking the hotspot. But sometimes it happens when you take the cone off to clean it, etc.